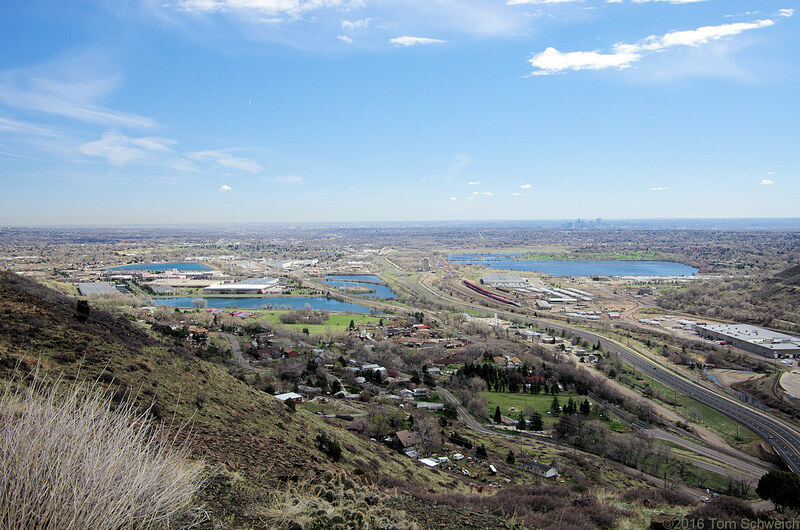 Photo: Valley of Clear Creek opens onto the plains; Denver in right distance. Eastern Mojave Vegetation Valley of Clear Creek opens onto the plains; Denver in right distance. North Table Loop, Jefferson County, Colorado: at Tramway Quarry. Other photos about Geography - Jefferson County, CO or Unclassified.